In Setmore you can use appointment labels to indicate the status of an appointment. You can choose between Pending, Confirmed, Done, No-Show, Paid, Running Late, or your own custom option. 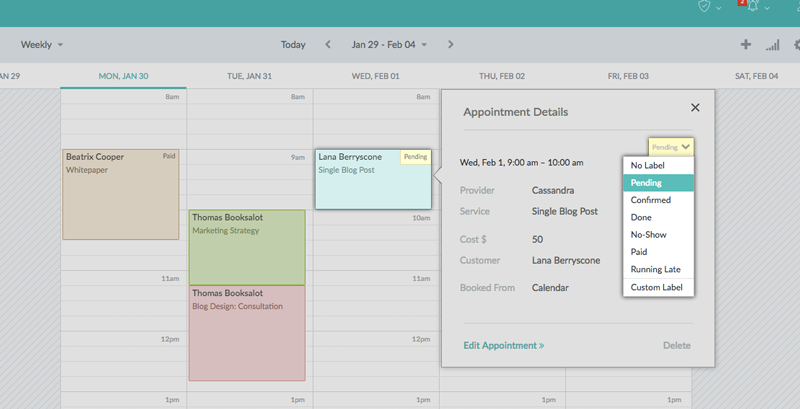 Labels are just visual cues to help you annotate and visually sort the appointments on your calendar. 1. 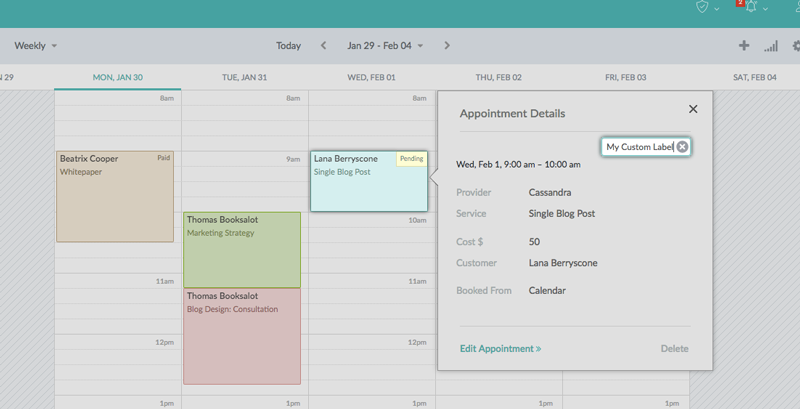 In your calendar, click on an appointment to bring up the details menu. Then click the label drop-down menu in the top right of the details menu, and select your preferred label. 2. You may also click on the "Custom Label" option and enter your own label.